I enjoy the dancing rainbow of colours that penetrate the cool waters and twist and swirl, creating a maze of abstract designs. The intermingling waters creating a silver, foamy mist sparkling and spraying, wild and enthusiastic. As a photographer whatever the time of year a waterfall can offer many opportunities to capture, It may be a slight trickle, or a vigorous surge but the colour of the rocks, the surrounding flora and fauna all contribute to create a representation of that moment in time. 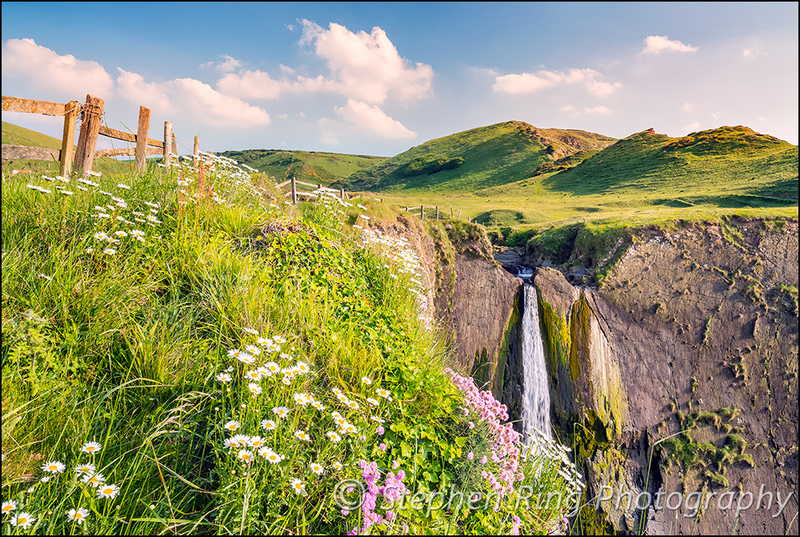 Next time you have the chance to venture to one of our natural beauty spots, with the added bonus of a waterfall, (such as Spekes Mills, Bucks Mills, Sandymouth and Welcombe) take time to discover the natural features and the magical movement of the water that nature has given us, because it is truly awe inspiring. Listen to the babbling water and experience the comforting sound echoing in the the air, collect your thoughts and take in the ambience of the beautiful surroundings.